As a parent, and as an Eagle Scout, this is a day I have been waiting for. 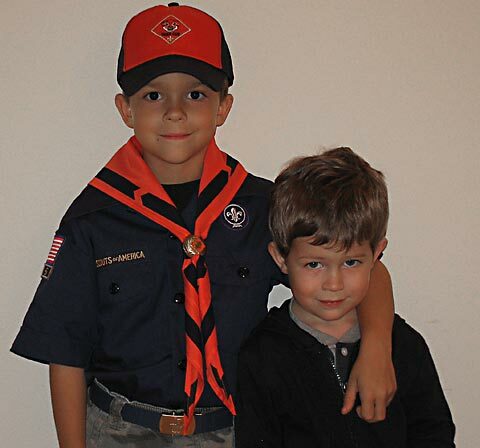 My oldest son Nicholas started Cub Scouts. He posed with his younger brother Will for this photo. I am looking forward to Scouting. Funny, I think I am more excited than my son Nick, but then I know how fun it is! I can’t wait!